Boswellia Sacra trees are said to produce the rarest, most coveted Boswellia resin in the world. The oil is steam distilled from the resin of Frankincense Sacra trees grown in southern Oman. Boswellia Sacra is the only frankincense species native to Arabia. The aroma of the resulting oil is warm, deep with some sweet, balsamic, and citrus notes. It is best diffused to induce a sense of grounding and create a serene environment. It is believed that this is the oldest variety of Frankincense tree. The species of tree that produces Frankincense sacra resin differs from the species of tree that produces Frankincenses carterii resin. However, Boswellia sacra is related to Boswellia carteri in that they both belong to the Burseraceae plant family, and subsequently share similar characteristics. Boswellia sacra is also a smaller tree but with yellow-white flowers. Boswellia sacra is indigenous to Oman, Yemen, and Somalia. Boswellia Sacra softens skin and is perfect for dry skin caused by dry climates. This variety of frankincense is also an amazing tool to use during meditative practices as it creates a calm, peaceful environment when diffused. Frankincense sacra essential oil is antimicrobial, an astringent and expectorant, as well as a diuretic with analgesic properties. Frankincense sacra essential oil essential oil is an exotic addition to cosmetic applications, personal care formulations, soaps, perfumery, incense, candles, and aromatherapy. You wont find a higher quality 100% pure Frankincense Sacra anywhere! Using this as part of my step dad's cancer symptom treatment - he loves it and so do I! i love this Sacred Frankincense! i use this in my diffuser also for it's calming effects! This is a wonderful oil, that has sweet but woodsy scent. It makes the house smell great and helps to relax me! It's great mixed with Jojoba or coconut oil! This is an All Purpose essential oil. Thats how I like to put it. Great for everyday use, I like to use it in a rollerball with jojoba oil! Definitely one of my top 10! I got frankincense carterii from another Co witth misleading advise...I ended up with an anaphylactic epi.sode and E R trip, i was fearful of ever trying it again. I saw that Jade Bloom had the sacred form. I said a prayer and mixed a few drops in a carrier oil . I spread over my long standing hi issue and in 30 min the bone pain of my left hip was gone! My breathing was great too and no negative reaction!! Hooray!! I would rather use this than get more shots that do not need me! Thank you dear JB for getting high quality frankincense sacra!!!! I enjoy this Frankincense more than the others it has a pleasant scent and I love added it to my skin care mixes. I used this oil in a flu bomb capsule, because I thought I was coming down with the flu. It worked with the other oils I used and I felt better the next day and completely better in just a couple days. I adore all the frankincense oils but this one is my favorite for diffusing in my diffuser necklace.. Absolutely one of my favorites, would definitely recommend. love the deep earthy scent ! Great for skin! I love all the oils! Frankincense is an oil that I ALWAYS have on hand and this one is exceptional! I love frankincense for so many things. It's a must in my skin care routine and wonderful for scrapes, bruises and burns. It is a wonderful healing oil! Love it! This was way better than i thought. It smells good not at all what I thought it might be . I used it on a burn and within days the burn healed. This is a true must have in your home. I love Frankincense, and this one is definitely great quality. I use it everyday mixed with Rosehip carrier oil on my face and neck. I think it has really helped my skin. I have only used this once in a pain med. It seems to help relive the pain in my hands. I used it with a couple of other oils. I wanted to mix my different frankincense together in some of my recipes to see how they work. Frankincense is my favorite oil...... and this one smells just like what I think the wise men brought as a gift to the Christ child! I was just about to spend $100 with my usual oil company to get sacred frankincense when I got the email notification that I could get a free bottle from Jade Bloom. I had taken a Jade Bloom university courses and decided this would be a great time to give them a try. So I ordered some lavender and some carrot seed both of which are outstanding and got my free sacred frankincense. I did a blind sniff test between Jade Bloom's and my usual company's and I virtually could not tell the difference between the oils. I'm so happy I decided to try Jade Bloom first. They will be my go to oil company from now on. This oils screams happiness, healing and peace. The smell of this oil screams happiness, healing and peace. I love this oil!! I’ve been putting it on my skin and in my bath and diffuser. It’s just overall such a sacred and powerful oil. I was so happy to get this free with my order to try. I've tried a lot of frankinscence brands but this was the real thing. I love the smell and i put a couple drops of this in every blend i do. This is the best oil in my opinion. Woohoo! This oil is Ahhhmazing! Absolute Must have! The healing powers in this oil will blow your mind! Mental, physical, you name it, it’ll help heal it. The Three Wise men knew exactly what they were bringing as a gift to baby Jesus! I love frank! I works for everything. At present - I have a bug bite that got infected and it is working beautifully to heal the infection. I just simply love frankincense -- I think it is the one oil cure all. I use a fragrance and it is a clean not strong aroma. Really lovely and gentle. What can you say about this oil !!!!! It's WONDERFUL, AMAZING & AWESOME Smelling stuff. !!!!! I tried a number of Frank to use in my pain blend and this one is by far the best smelling one. I love it! Rich, woody and citrus smell...I like it better than other frankincense. So happy I purchased. The Frankincense Sacra meets so many of my needs... immunity booster, sleep aid, not to mention I like being able to use oils from biblical times. This oil is amazing diluted in grapeseed oil and used as a face serum. I prefer this scent to the other Frankincense. I have used in foot baths after a long day on my feet and it is awesome. Frankincense is my go to oil for almost everything. It does wonders for restless leg syndrome or any inflammation I may have it works great. I love JB's quality of product! This oil is a must have! I never go a day without mine! Topical or diffused I enjoy mine daily! I added this to my lotion and the result has been amazing. My skin feels silky to the touch. 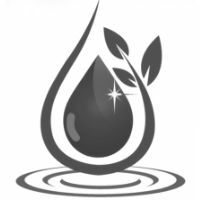 Thank Jade Bloom for having excellent quality oils at an affordable price. I think this has a sweeter aroma. Love it! Love this oil! Has more of sweeter smell than caterri... love using it for my face! Frankincense is my favorite essential oil! I need to stockpile this oil because I use it sooo much! Works very well on skin using a carrier! Though I have many different frankincense, I needed to try this brand. I am thankful they have the sample size for me to try. In my eyes all frankincense eos are great. I absolutely love every essential oil I have purchased from Jade Bloom. I am very please with this new sacred frankincense, it smells so good! This oil is truly amazing. I have used Frankincense Sacra from other companies before JB offered it and let me tell you, this is of equal if not better quality at a fraction of the cost. The bottle is beautiful.